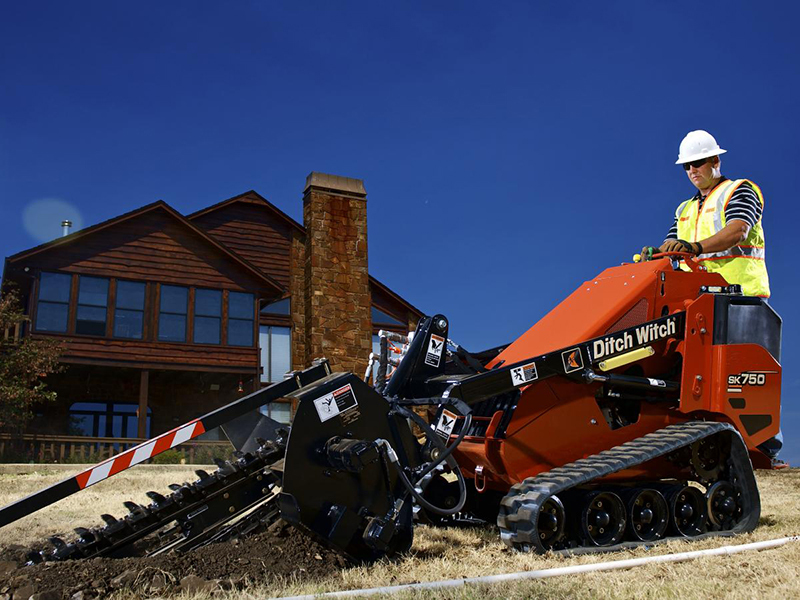 The Ditch Witch® SK752 mini skid steer is construction-grade, through and through. 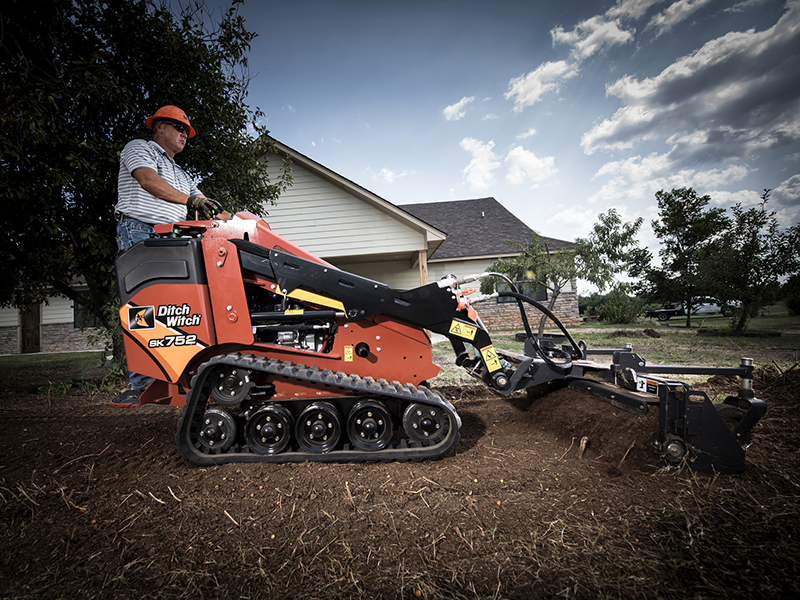 A rugged design and durable build delivers outstanding performance on the toughest jobsites. 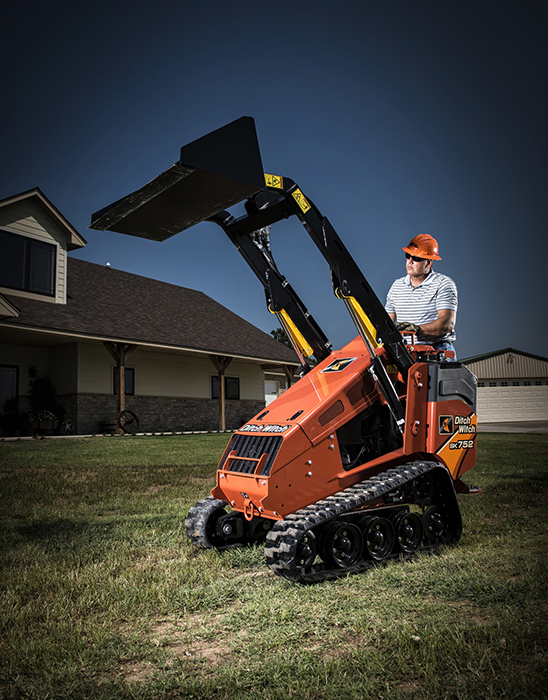 Add in an improved operator station with an extremely high and large stand-on platform, and you’ve got the comfort and ease of use you need for more productivity, job after job. 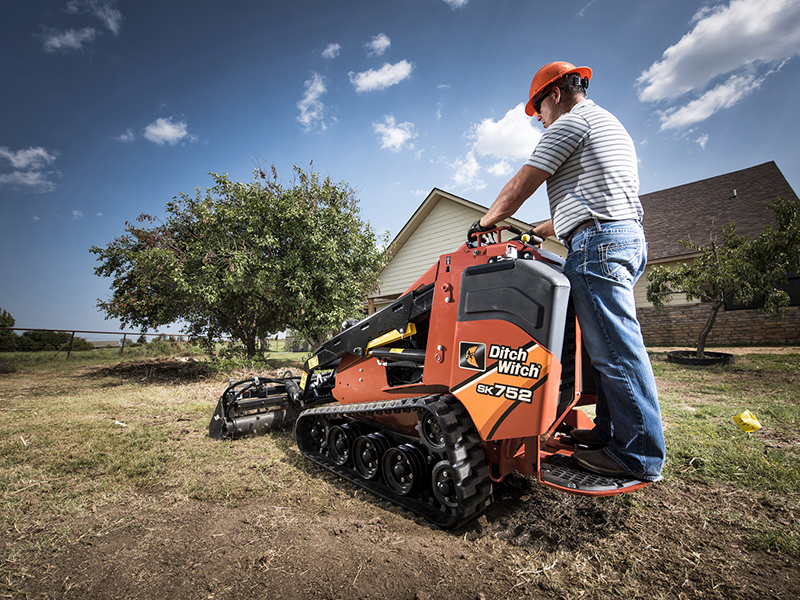 Efficient, low‐maintenance Kubota® diesel engines provide outstanding power for all machine functions—24.8 hp. 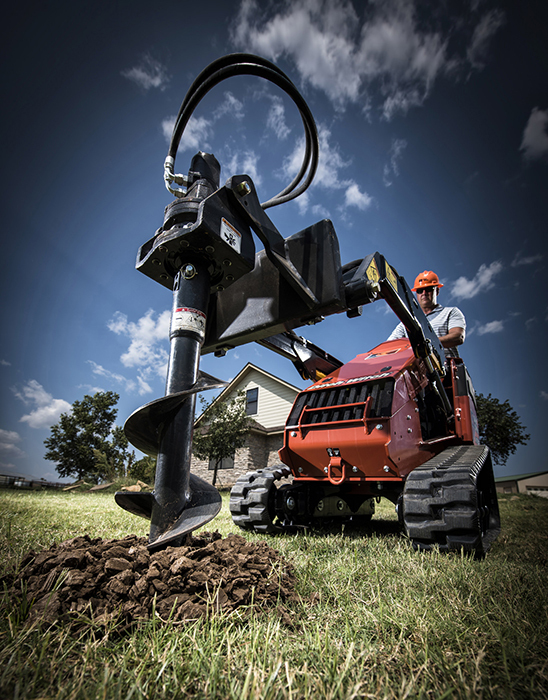 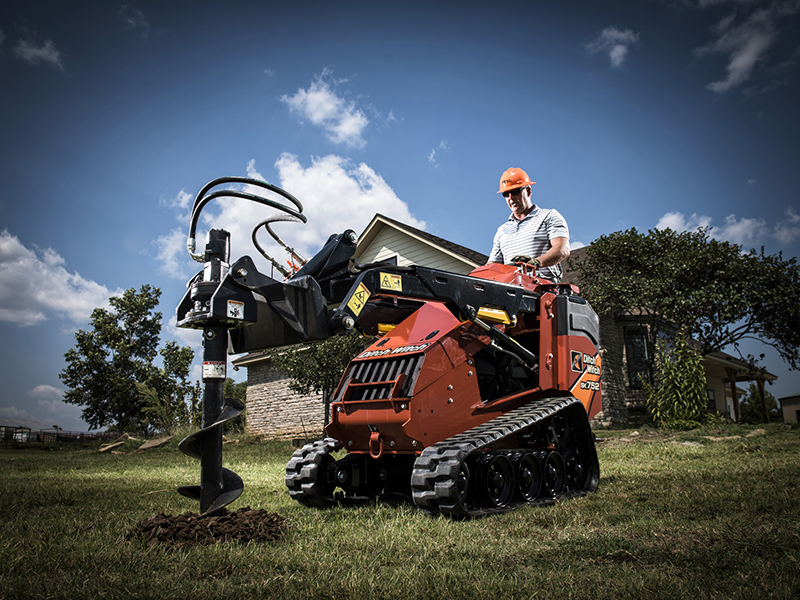 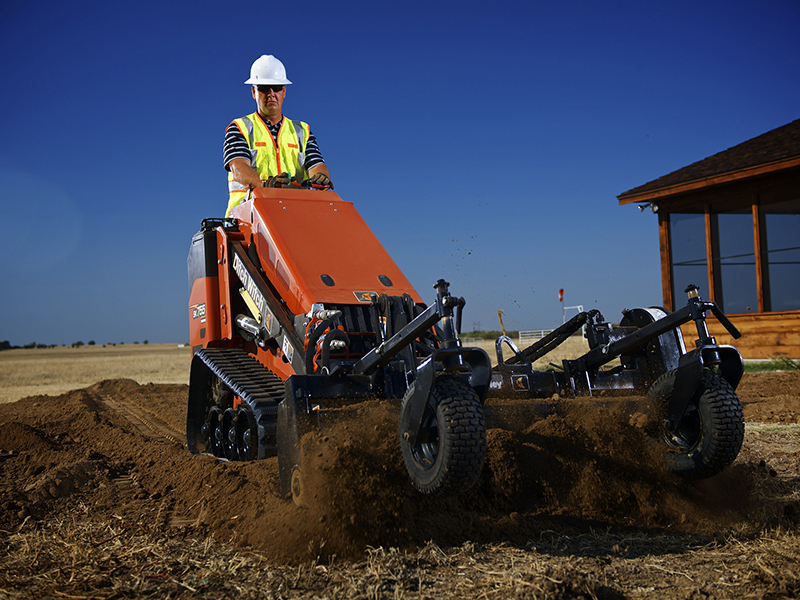 4.7‐mph ground drive speed (in both forward and reverse) enhances jobsite efficiency and productivity. 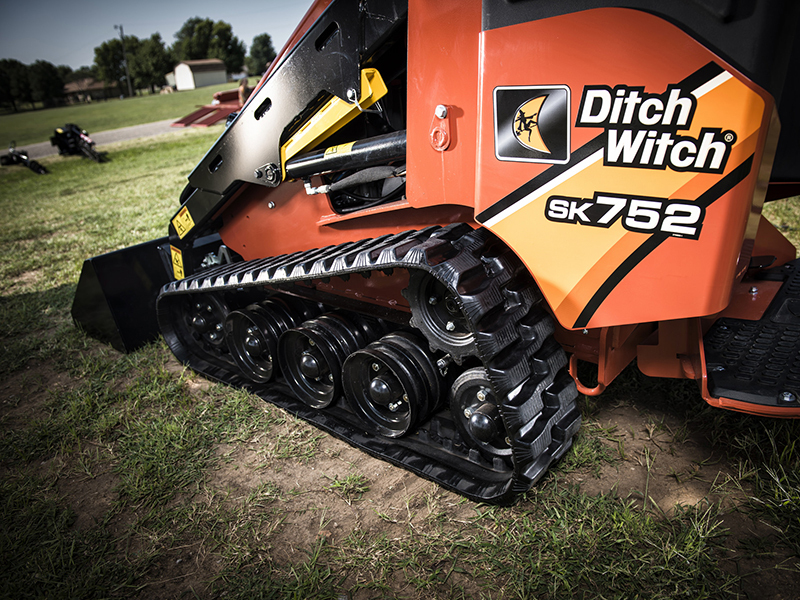 The SK752 comes standard with tracks that are 42 inches wide, with optional 36‐inch narrow tracks. 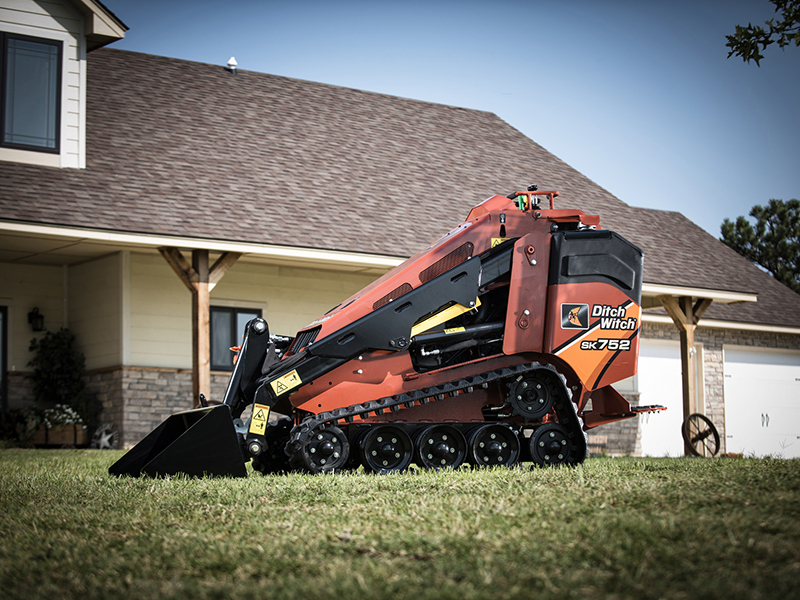 The 74‐in2 platform is larger and provides more ground clearance than the competition’s; increasing operator comfort and stability while keeping the worksite visible. 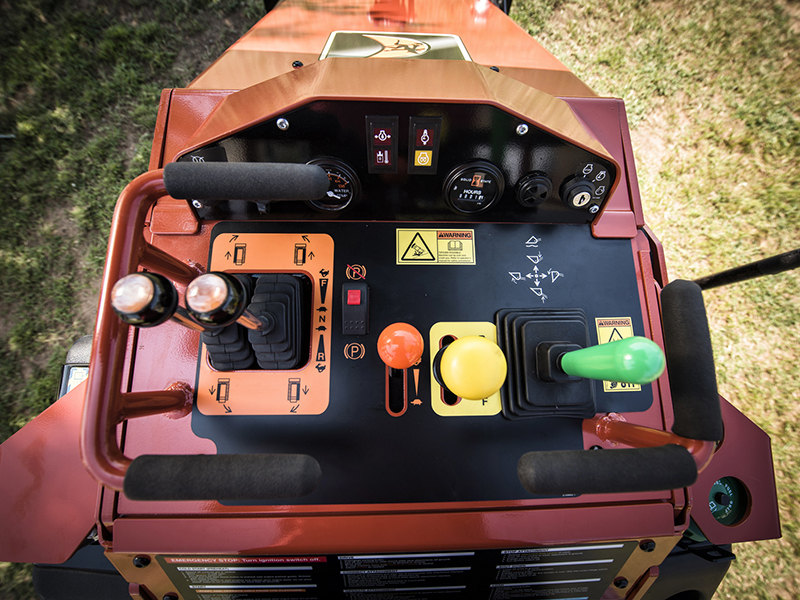 Single‐point, lockable fuel and hydraulic fluid tanks for improved security.